Voters who have a disability, physical limitations or limited English proficiency may ask for assistance at the polling place. Voters can contact your local County Election Official before Election Day if special arrangements are needed. Federal law requires all polling places to be accessible. If you feel your polling place is inaccessible, please contact your County Auditor. The Help America Vote Act (HAVA) requires that each polling place for any Federal election provide a voting device equipped to allow voters with disabilities the means to vote independently and privately. South Dakota has chosen the AutoMARK from Election Systems and Software and the ExpressVote by Election Systems and Software. The ExpressVote warns of undervotes and will not allow overvotes. The voter may make changes before the ballot is marked. The voter is provided a summary of selections. When the voter selects “Mark Ballot,” the voters’ selections are printed and the ballot activator card is ejected. The ExpressVote keeps no record of votes. It is a paper-based, electronic ballot marking device. If a marked ballot is inserted back into the ExpressVote, the touch screen will display the selections marked on the ballot. The headphones will also describe the selections marked on that ballot simultaneously. The voter takes the marked ballot card to the precinct ballot box for casting. All ballots-whether voted by pen, AutoMARK or ExpressVote -go into the same ballot box. A ballot privacy sleeve is provided to all voters. The ExpressVote can serve every eligible voter, including those with special needs. 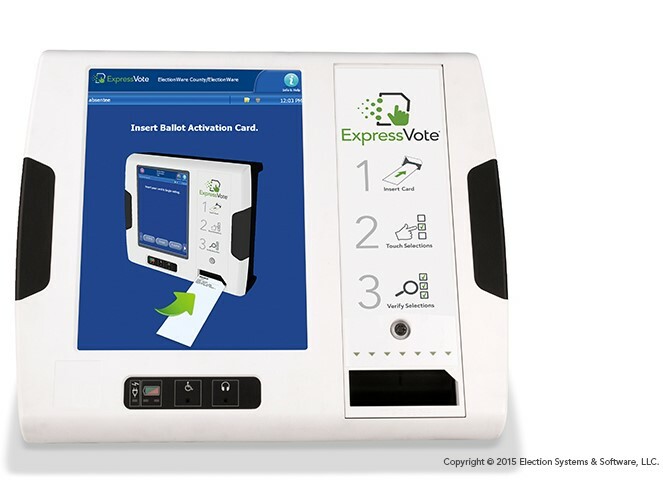 As a fully compliant ADA voting solution, the ExpressVote allows both standing and seated voters to mark and cast their ballot activator cards independently. An accessible keypad equipped with braille and the ability to use rocker panel and Sip-and-Puff devices make ExpressVotes key in South Dakota elections. The voter in South Dakota receives a paper optical scan ballot. The voter has the option to mark the ballot by hand or by use of the AutoMARK ballot assistant. The AutoMARK keeps no record of votes. It is a paper-based, electronic ballot marker-an "electronic pen." Most voters find it to be intuitive and user-friendly. The AutoMARK has special features to assist voters who are blind, have poor eyesight, can't hold a pen, or have other difficulties in voting a on a paper ballot. All ballots-whether voted by pen or by AutoMARK-go into the same ballot box. The AutoMARK warns of undervotes and will not allow overvotes. The voter may make changes before the ballot is marked. The voter is provided a summary of selections. When the voter selects Mark Ballot, the appropriate ovals of the optical scan paper ballot are marked and the ballot is ejected. 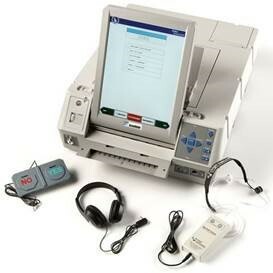 If a marked ballot is inserted into the AutoMARK, the touch screen will display and the headphones will describe the selections marked on that ballot. The voter takes the official paper ballot to the precinct ballot box for casting. A ballot privacy sleeve is provided to all voters. By simply adding an ES&S AutoMARK device to your polling location you comply with the federal Help America Vote Act (HAVA) accessibility requirement. It will save you money by eliminating the need to reinvest in a new tabulation system.The AutoMARK is a ballot-marking system, designed to provide autonomy to voters who are blind, visually impaired, or have a disability or condition which makes it difficult to traditionally mark a ballot. Utilizing revolutionary technology, AutoMARK Voter Assist Terminal is the future of paper ballot-marking technology. If you feel you cannot vote on the day of the election, please fill out an absentee ballot application and mail it to your County Election Official by 5:00 pm the day before the election to receive an absentee ballot. Absentee voting begins 46 days prior to the primary and general elections. Download an absentee ballot application by visiting the absentee voting page.